ZESI served as part of the design team for the design of Section 5 of Segment D of the Grand Parkway. Section 5 is a 4,000 foot stretch of the road that straddles Harlem Road where the proposed roadway will cross over a new bridge structure. ZESI provided design services that included hydrology and hydrauilics, storm drain design, super elevation layouts and design and construction sequencing and phasing. As part of Metrosolutions, under separate contractual arrangements, ZESI assisted by providing standard specifications for the overall future light rail corridors, namely: the East End Line, Southeast Line, University Line, Uptown Line and North Line. ZESI reviewed existing civil and rail corridor specifications for Metro and City of Houston and modified them as needed to tailor to the construction of these future light rail projects. ZESI worked on Uptown and Southeast (SE) Corridor preparing utility plans, and developing various route alternatives for both corridors of the light rail project. ZESI have worked on METRO Solution SE and Uptown Corridor towards submission of SUE plan & profile, prepared CAD drawings (Using Microstation V8) for proposed SUE plan & profile, and developed underground utility plan & profile drawings highlighting conflicting utilities. ZESI assisted other CAD group members with the development of new “Cut Sheet” batch plot program using GeoPack (an extension of Microstation) to produce output more efficiently. ZESI also has developed a Houstorm drainage model for the uptown project. Under contract with METRO, ZESI assisted in the re-designation of five of the existing High Occupancy Vehicle (HOV) corridors –IH 45 North, US 59 North, IH 45 South, US 59 South and US 290 – to High Occupancy Toll (HOT) Lanes. The project included the design, installation and operation of electronic toll collection and optical monitoring equipment. The new electronic system is designed to maintain the desired level of service for HOV users, provide better controlled access, improve safety and maximize lane use by allowing Single Occupant Vehicles access for a fee or toll. METRO will operate under agreement with TxDOT. This citywide program involved sidewalk designs across the City. Zarinkelk completed design of sidewalks for approximately 19 miles. Candidate sidewalks came from three sources, the Safe School Sidewalk Program, the Major Thoroughfare Program and the Pedestrian Accessible Review (PAR) Program. Each has its own requirements and criteria. Tasks included site visits, review of candidate sidewalks for the appropriate criteria, development of a PER including all recommended sidewalk sections, topographic survey of all approved sidewalks, development of CAD drawings, review of all intersections at end points for accessibility, review of final sidewalk sections and wheel chair ramps by an RAS specialist, development of a project cost estimate, contract documents including specifications, bid documents and forms, and coordination with TXDOT and utility companies for right-of-way, design criteria and obstacle issues. Wheel chair ramps were reviewed by a Registered Accessibility Specialist sub consultant to meet ADA criteria. Three packages for construction were developed and included residential neighborhood streets, downtown streets and various major thoroughfares. As a sub consultant, ZESI prepared the street lighting design of the project and prepared conduit layout and pull location plans. The effort included coordination with Centerpoint and the City of Houston, attendance at meetings, a site visit and a street light survey of the project. ZESI assisted with the development of standard details, street lighting design, the formatting of plan and profile sheets, and Storm Water Pollution Prevention Plans. The project include11,000 linear feet of neighborhood street reconstruction including paving and utility improvement. The Addicks Park and Ride Project prepared that facility to interface with the IH10 project. The project included design modification of the existing facility, demolition of the existing T-ramps and underpass, design of an access driveway, a re-design of parking spaces, design of a new bus ramp to the proposed HCTRA/TxDOT managed lane, relocation of security cameras, reconfiguration of utilities, design of traffic control and development of the PS&E package. The project involved close coordination with the City of Houston, HCTRA and TxDOT and their design consultants for the proposed Park Row Blvd. and the IH10 project. The probable construction cost is $1.8 million. As a sub consultant, ZESI performed a comprehensive driveway audit of the project to determine the extent of necessary removal and replacement of residential driveways. ZESI prepared a quantity take-off for removal and replacement of reinforced concrete driveways, a storm water pollution prevention plan and design drawings for the project. guide way and station and split platform at grade. The Harris County Queenston Blvd. project involves design of 2,960 feet of 100-foot right-of-way concrete boulevard. It includes four lanes, a median, and curb and gutter from Langham Creek to FM 529. The project includes a traffic control plan, and signalization at the intersection with FM 529. The project will involve coordination with TXDOT and the probable construction cost is $2 million. This citywide program included the following items for each work order: development of inventory sheets; development of GIMS maps with the photo exhibits; and numerous field visits. ZESI completed 15 work orders that covered approximately sixty lane roadway miles. On each work order based on a condition survey, ZESI recommended either a partial or full overlay. ZESI also evaluated over 1,000 curb ramps along candidate overlay roadways and recommended replacement or installation of new curb ramps at various locations. existing storm sewer trunkline on the existing ½ boulevard roadway. It also included preparation of an SW3P, a storm water quality control plan, and a traffic control plan. The estimated construction cost is $1 million. The Edgebrook Reconstruction Project involved reconstruction of 1.5 miles of four lane boulevard roadway section with five-foot sidewalks on each side. This project included pavement design and replacement and adjustment of utilities along the road. This project involved pipeline coordination and public meetings through the PER and final design stages. It also included the R.O.W. acquisition for corner clips at 20 locations. This project was a joint funded project. The PS&E was based on the latest TxDOT format and criteria. ZESI is a member of the Houston Airports Program Management Team (HAPMT). 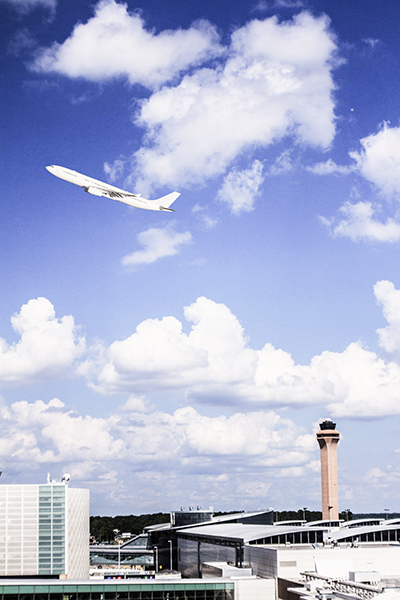 The HAPMT was hired by the Houston Airport System in September 2011 to supplement PDC staff and to provide project managers to manage eight major CIP projects in FY 2013. ZESI provided senior project management staff for this effort. As prime consultant on this project, ZESI is responsible for the study, design, and bid phase engineering services for construction of approximately 1.2 miles of Gosling Road from Kuykendahl Road to Spring Stuebner Road. The proposed road will be a 4 to 5 lane asphalt road with road side ditches within the 100-foot existing ROW. Existing asphalt will be milled and overlaid and the road will be widened using a full roadway section.